If there is one thing I have passed on to my children (besides my devastating good lucks and my fiery temper), it is a love of fancy bath products, in particular from Lush. Both girls absolutely love the Lush “Fun”, or as we call it “bath playdoh”. 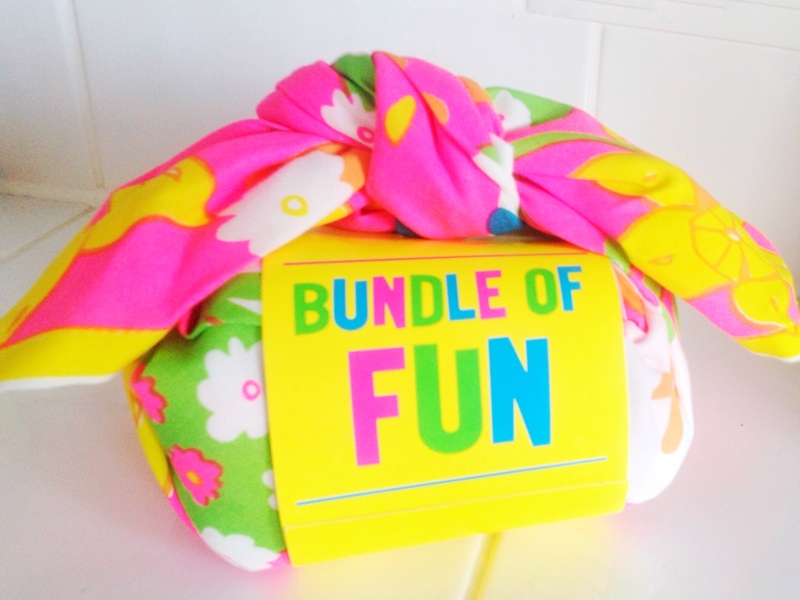 So when I saw the “Bundle of Fun” in the Lush Easter selection, I knew it would be the perfect gift for them. 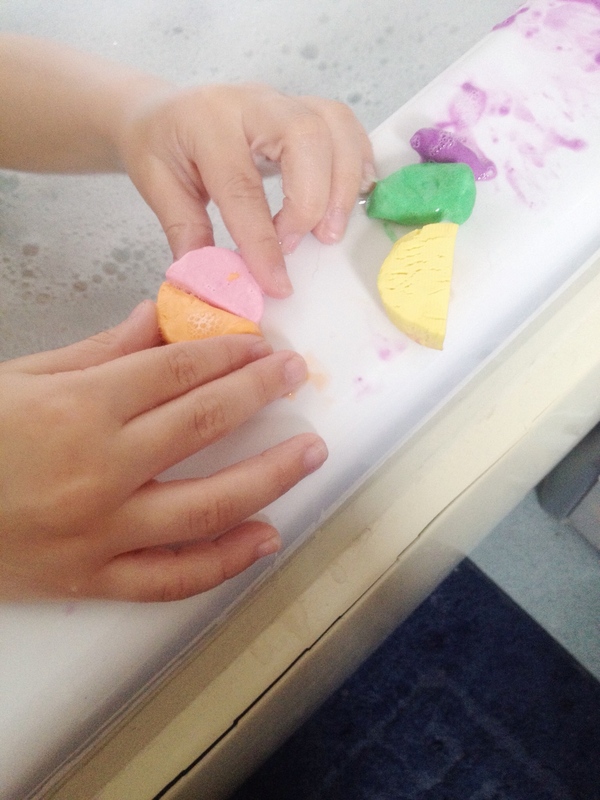 “Fun” is a brightly coloured dough that you can use as a bubble bar, shampoo, soap or to make models. The girls also love to use it to paint themselves in multi-colours. At £5 a pack, it is a little pricey but if you’re careful you can make it last a long time. Inside the Bundle of Fun are 5 bundles of Fun in a lovely variety of colours. As the set costs £19.95, you effectively get one pack of Fun for free, which in my mind makes this remarkable value for money. I’m very strict on the rationing, so hopefully we can make this set last until Christmas. As with all Lush products, each type of Fun has its own unique fragrance and the bathroom smells heavenly when the girls have been playing. Although the colours are vibrant, they wash off easily and don’t stain the bathtub. Both of the girls’ little faces lit up when they saw what was inside the package. “Fun” really is one of their greatest luxuries and they immediately set about modelling, painting and washing. I earned some serious mummy points when this parcel was delivered. Unfortunately, the Bundle of Fun is currently out of stock on the website, so I’m really glad I ordered this when I did. Let’s hope there’s a Christmas edition ready for when this one runs out! 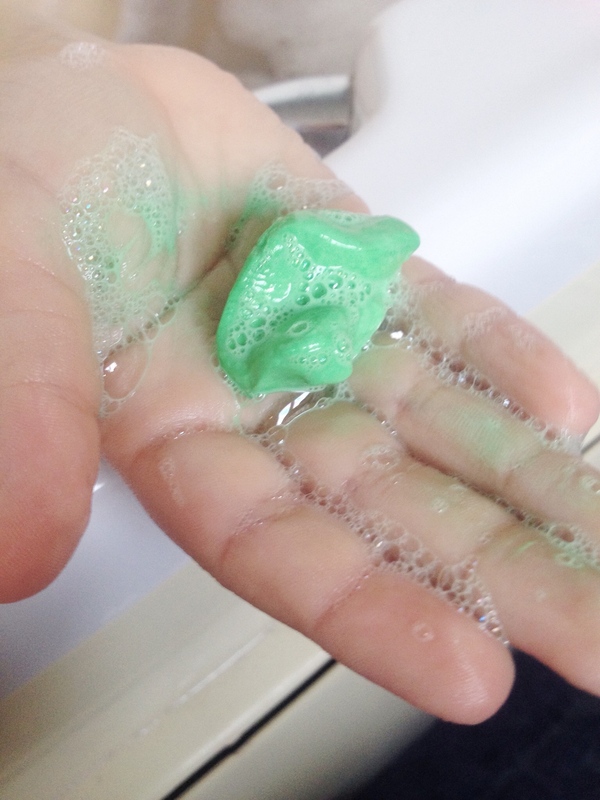 Have you used the Lush fun? Are you a fan? 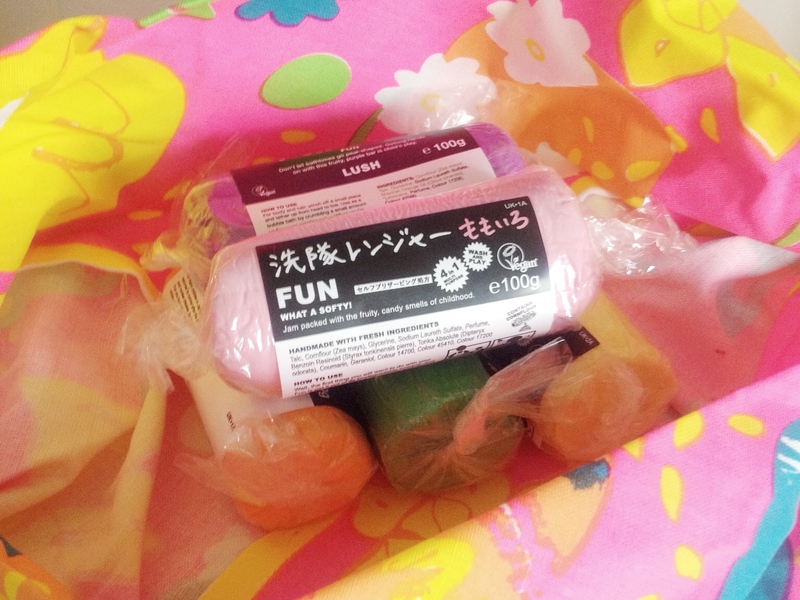 This entry was posted in Beauty and tagged bblogger, bundle of fun, lush. I’ve never used it as a shampoo on the girls so couldn’t say if it leaves any colour. It does wash off their bodies very easily without leaving a mark. I’ll have to test it on one of them tonight! I can’t even remember how I first found out about them but the girls are hooked now. I get major complaints when we run out. I probably wouldn’t buy it for myself even though it has so many uses but it is a great way to get the kids to have a wash! I’ve never used this before but Ive always had a play whilst in the shop! I love that LUSH create such fun products. I can’t wait to have kids to give them stuff like this to play around with haha! It is really original. I’ve never seen anything like it anywhere else. It’s a firm favourite with my little ones. I love lush products but I don’t buy enough of them! This looks so fun I can’t wait for Emma to be old enough to start using these bits. This looks a great set, shame that it is out of stock! This looks like a wonderful gift and perfect for someone who doesn’t pamper themselves enough!